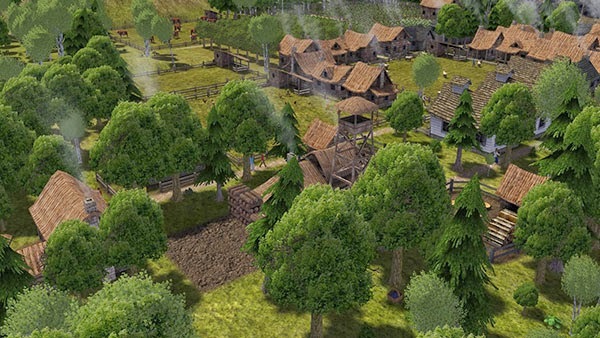 It is simple stories like this that make Banished stand out among other building simulation games. The game has no military part, no threat to be afraid of except survival. The game does not emphasize resource gathering and management in the classical sense; here it is the people that are you main resource. But people are not that easy to manage because you can only tell them what job they are supposed to be doing. Soon you will notice that they have a bit of a will of their own. To me, the most fascinating aspect of Banished is that this game is both profoundly simple yet highly complex at the same time. Even 30+ hours in the game you will still learn important new things. While the beginning is deeply focused on taking care of everything with a handful of people and immerses you on a level I have never experienced in any similar game so far, as your population grows and everything exceeds your wildest predictions, the focus shifts to an equally challenging and entertaining level of macro management. The graphics are perfect for this type of game as they show the realism needed but also inherit a sense of dreaminess. Watching the beautiful landscape change over the seasons will most certainly immerse you even further into the story, the story you are writing by yourself. If the graphics alone are not enough the colorful soundtrack does the rest. - Perfectly executed! Banished allegedly was created by a single, -obviously - highly skilled and talented person and is available on Steam for a very, very good price. This game got me hooked completely during the last days and sleep deprivation is already knocking at my door. If you are also a fan of great titles like Anno, The Settlers, The Guild, Civilization, SimCity and so on, you have to check this game out! Trust me, you will not regret it! WHICH TITAN IS IT GOING TO BE? Anyway, I decided long ago that I will ride that train so there's no turning back now. 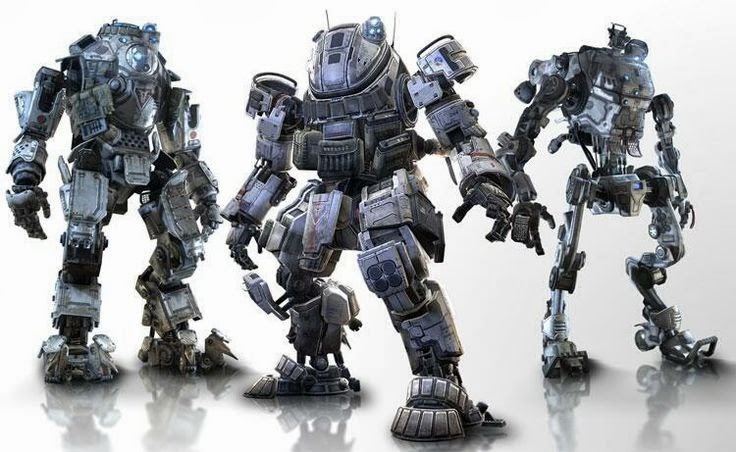 If there are just three Titans (titanfall.com), then that's what we have to work with. I am thinking about the Stryder since I like maneuverability and even more speed. What's it going to be for you? CONTAINS INTENSE VIOLENCE, GORE, GRAPHIC SEXUAL CONTENT, AND STRONG LANGUAGE. PLEASE ENJOY ??? I heard about this game actually a while ago. Every now and then I youtube for "top x horror games" in hope of finding some good spook that brings me back to the good old Resident Evil (1!!) times. 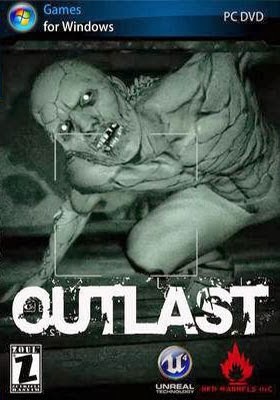 I remember I found this video (I think from IGN) where they put a lot of people into a dark room and let them play Outlast. - The reactions of the players were hilarious and so the game made it on my list. First of all the story was not really good and I think also not very well told. - Just reading one letter after the other... please! Although the setting is great the story lacks anything interesting. It gets better the closer you get to the end but there is no major, impacting twist or something outstanding even then. As far as I know there are no secrets to find or bonuses to unlock, which significantly contributes to a replay value of zero. Most of the spooks are scripted and I am sure you will definitely not be shocked at another playthrough, so... even the spooks get lost. PS: Thumbs up however, on the greatest dongs in a video game ever! - There's a separate post about that already in preparation! ;) Be ready to see some video game schlongs very soon! BUT NEVER LEAVE THE STREAM? Back in the days when I put new games into my consoles I was always very excited to see who "made" that game, if I didn't know it before from magazines. You must understand "made that game" in its actual, naive sense, since for me, when I was young, I didn't really know the difference between a publisher and an actual developer. I just saw a bunch of logos; for example the one of Psygnosis. And that not only told me that this game was "developed" by Psygnosis but also that it had to be an awesome game! While growing up I came to realize the difference eventually and since that time my attention rightfully shifted towards the actual developing studios. I guess that's what happened to a lot of gamers. A publisher is basically not more than a dealer who puts the final product into the shelf of any given store, right? Important is who actually programmed the game, right? - Well, not entirely. For the most part - and especially in the earlier days - a lot of developing studios published their games directly. Over time the roles of a publisher got more distinctive however and while today it is almost impossible to publish any game above the app-mobile-browser category by yourself, before it was quite common. Of course that doesn't mean that there weren't any big distribution channels. I still also think the actual developers are utmost important, but on the other hand we cannot leave the publishers out of the scope completely. Especially since today we can see and feel how developers as well as their products sometimes suffer due to a relationship that is often more profit than quality oriented. I don't want to get into the "bash the publishers" topic here, because after all they are on the frontline of funding most developers, but I certainly think publishers and developers need to work on their relationship and focus more on quality instead of on the "quick cash". What we could see in the past and still witness today is not only that publishers compete against each other and buy themselves out like on a Sunday flea market, moreover they basically unify all sorts of developers they can get under their flags. Initially, and from an economic view of the publishers, it isn't such a bad idea to get allegiance from a certain developer to only publish through one's own company, but as I mentioned before, as long as the relationship between those two doesn't change drastically, it's going to become difficult for all of us. During the last years I was constantly confronted by friends and the internet with statements like "Today there are no more publishers left" or "It's only EA and Blizzard/Activision anymore". I knew about publishers buying out one developer after the other, but couldn't believe that all those publishers themselves were gone. There can't be a serious, fair and productive market with only two or three publishers left. I was constantly puzzled of what was really going on. Even more it intrigued me why it is not really possible to find anything well-arranged about publishers on the internet. If you want information about the current situation or the history of publishers and their relation to one another, you'd have to invest weeks to get a good picture about it. - Is there really nobody interested in this? If the video game publishing business had really become a monopoly, wouldn't that be bad and somebody needed to do something? Are most of the publishers not happy if they grow and don't they want to present all their history for us to admire? Why all this apparent secrecy? Months ago I decided to track down all of the publisher - at least those, that I could think of, that were big names at some point and that made it not to difficult to be found on the internet. I wanted to know and personally create some overview of how the actual situation of video game publishers looks at the moment. How many were there "at the beginning"? What happened to them? Did they close or did they merge with others to become bigger? 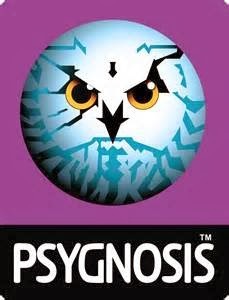 I loved Psygnosis games for example. When I saw the Midway logo, I knew that I had a great game in my console... Where have they all gone? This is all done in good faith and for information purposes only. There is no harm intended to anybody! Although I tried to be as precise as possible the result might not be completely accurate due to the vast and complex nature of this topic as well as time constraints. This chart doesn't measure how powerful or big a certain publisher is! I see this chart as unfinished, as a starting point to roughly and graphically sort most of the information that I found so far. I would like to further look into the topic and expand and/or change it accordingly in the future. I would be happy to get any comments and inputs that could help to further shape this chart into something really awesome and absolutely informative. I share this results now, because I already put in a lot of time and for the moment I am satisfied with this as a basis. Furthermore I think a lot of other people actually are interested in that topic, even it is not 100% accurate at the moment. I hope this chart might help others, create some awareness of what is actually happening and will stop those arbitrary statements like "There are only two publishers left". Please feel free to share this information and create a dialogue about publishers. They are a necessary and a big part of the video game industry and everybody should have more information about them. It was hard to gather those initial publishers (left side of the chart). It all started with a look through my video game library and ended with whatever I could find on the internet. For this preliminary analysis I made a cut at the time Sony's PlayStation came out and only included "major" publishers already present at that time or established afterwards. Though also still defined rather blurry, "major" means publishers that at some point were really "big" - that not published only one game, so to say. It doesn't include "acting publishers" (developers that published their games independently), as far as it was possible to draw that line, and it also doesn't include subsidiaries. - Like I said, the field of publishing is rather big and for the meantime (rough sorting) it would have cost too much of an effort to get into every "smaller" subsidiary of every publisher. I was basically interested in the companies at the absolute top and merged it down accordingly! For example: Although 2K is still on the playfield as official publisher today, it has actually become a subsidiary of Take Two. So, for the results of this analysis I only consider Take Two as the overall major publisher left meaning: I treat 2K as Take Two. I tried to sort the publishers by year of foundation but given the intentionally simple nature of the graphic together with its enormous content it is clear that there is some blur. - There is only so much one can do. The graphic should be easy to read however: On the left you can see the initial logo of a major publisher (as far as I could find it on the web) followed by an arrow roughly indicating what happened to this publisher over time. The right side shows what has become of the publisher (a different logo means they have been bought-out by - or merged with - the company who's logo is shown, a skull means they disappeared). The color of the arrows also shows whether the initial publisher is now dead (white), is now under the flag of another publisher or there were significant changes (red) or if nothing changed (green). If there are other logos along the arrows, it indicates either a simple logo change or in some cases also that the publisher was taken from another publisher. - There is actually a lot more interesting stuff that happened in a lot of cases, but those things are also subject for some future revisions. If you watch this chart and read this post and you feel that I missed publisher "X" or you think something is not right, please leave a comment and tell me! I did these things (for example depicting Atari as "dead" along the way) on purpose but of course mistakes can happen and it is possible that I completely forgot some important publishers! Like I said, I hope to get into more detail with this graphic over time and I would appreciate your help and insight. A similar thing could also be done with actual video game developers and/or combined like: Which studios merged together? Which publishers bought which studios? In a really fancy universe where I had a lot of time, it would be awesome to have one unified chart with all developers and publishers... well, we will see where we can go from here. Please enjoy the chart and get yourself some knowledge what happened to some of your favorite publishers... at least you can maybe get great memories from watching some long forgotten logos! The * after some numbers at the bottom of the graphic indicates that this is the number taken from the things you can see in the graphic, but not the actual number for the calculations. After finishing the graphic I decided not to count some publishers like Square Enix and Bandai Namco from the last segment for example. Unfortunately I should have also listed all other merged publishers as new again (example: Blizzard/Activision) at the "2000-" segment but I didn't. So it was either count them all or none... or change the graphic. - Well, at some point I will change the graphic and take care of this mistake for sure! As you have seen in the graphic it is absolutely not like some people are telling. - There are actually still quite a lot publishers on the playfield. Still, the decrease of about 60% remains astonishing. This does not mean that we are getting 60% less video games, but it basically means that 60% of the overall publishing power has been relocated onto only 40% of the total publishing channels! Hence also meaning that less than half of the total publishers (that could still exist) are today at least twice as powerful than before (industry growth not considered!). Not that I care too much about nationalities and not that there were too many the begin with, but I am still a bit shocked that with Ubisoft currently only one "traditional" European publisher remains. What is also intriguing is that, according to the current state of my research, it obviously never came to a consolidation between a Japanese and an American publisher. Japan is merging Japan and America is merging America while Europe is the region where everybody goes shopping for the weekend. Furthermore I was quite surprised about Atari. Being literary "dead", from what I've thought to be common knowledge, they are "back" in the game, bigger than ever. Or are they not?... Actually the story behind Atari and Infogrames is still a bit of a mystery to me. To be honest I have to this day absolutely no clear idea whether if it's Atari that is the boss of Infogrames or vice versa. There is Atari Inc., Atari Interactive, Atari Europe, Atari S.A., Infogrames S.A., Infogrames Entertainment and many, many more. Maybe it is hard to see an Atari logo - hmm... I also can't recall when I saw the last Infogrames logo - on a game, because until this day all related companies are obviously still arguing and disputing amongst themselves who the boss is... Jesus Christ, how about getting your act together and concentrating on publishing? However, I am satisfied for now, knowing what happened to Psygnosis or Eidos for example. The last game where I saw the Eidos logo was the new Tomb Raider. It was at that time, when I felt a strange feeling of sadness but also curiosity which ultimately lead to the question why I haven't heard from them in such a long time. After all I play and never stopped playing video games. Now that I know they are basically still there but a subsidiary of Square Enix, I somehow feel relieved. It gives me closure. This is one more thing I want to tell, because my chart cannot: Even if a certain publisher is marked as "dead", that doesn't mean the good people and especially the good titles that this publisher had are lost. Don't worry about that. In almost all cases I tracked, the licenses for that titles have been bought by other publishers. On the other hand, even if a publisher still exists - either on his own or as a subsidiary - that is also no guarantee that they are still holding onto the right of a certain game title they were once famous for. The video game industry is still growing more complex every day. I sincerely hope I brought at least a bit of light into the matter of publishers and gave you some interesting information.